There had been many home designs with amazing facade and location that will make us fall in love with them in an instant. Homes may have varying styles or sometimes, it is even designed based on two different styles. This is what we are going to show you in our house feature for today. This home showcases straight lines with a color palette that will make the owners feel relaxed and very much “at home”. 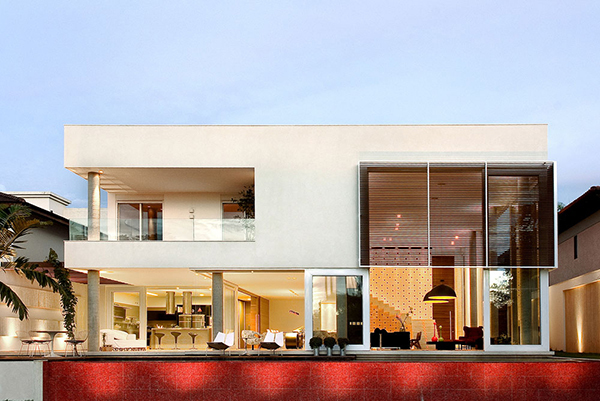 The house is known as Casa Capital which is located in Distrito Federal, Brazil. The 570 square meters home has an emerging architecture of the 60s and combines the beauty of contemporary and traditional homes. 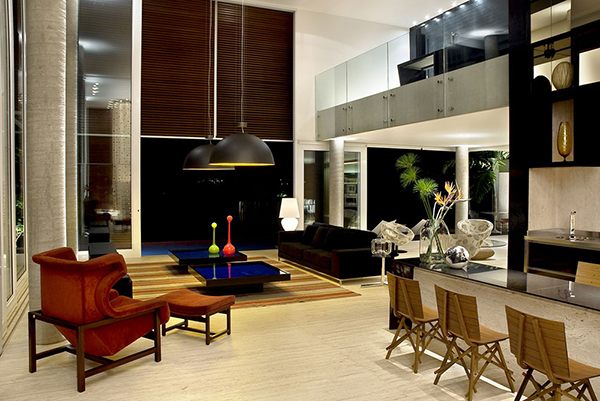 Its openness and its inspiring interiors turn it into an exemplary piece of Brazilian architecture. 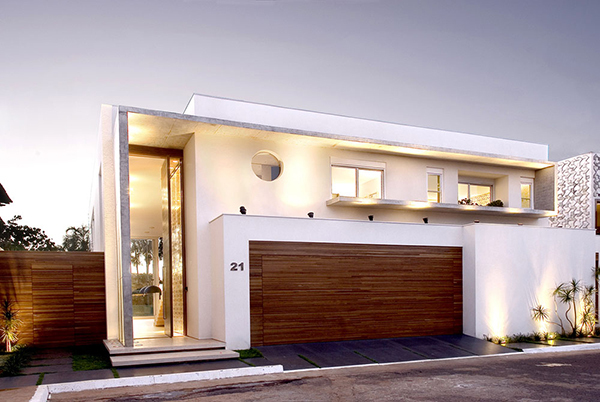 The house has a series of concrete columns lining the interiors which adds to its geometric appeal. This home is a thing of beauty. You can see all the modern elements in just one glance. 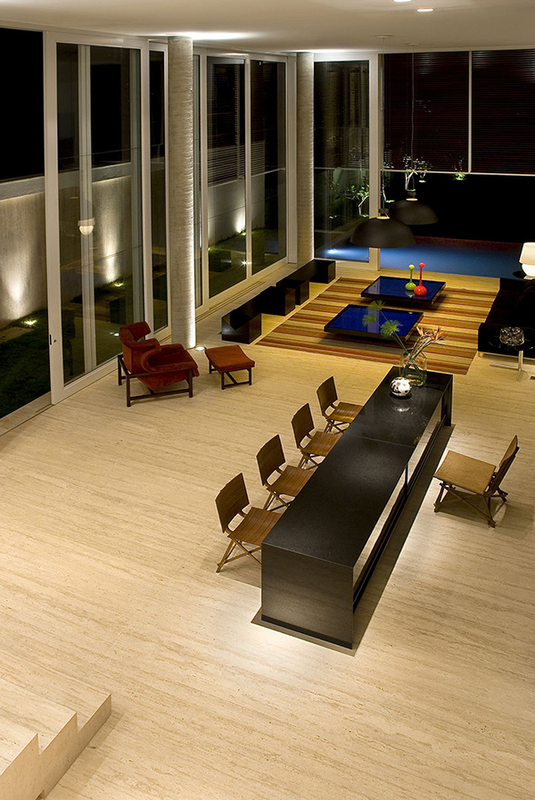 It has a pool area that immediately faces the living space. I love how it seems like connected to the pool seamlessly. 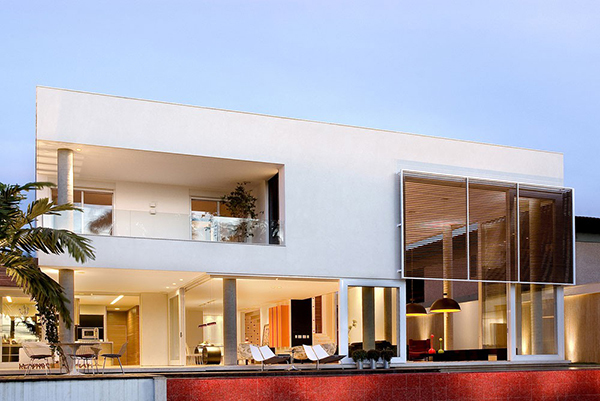 A combination of modern materials are also used for the house like glass for the railings, concrete and others. 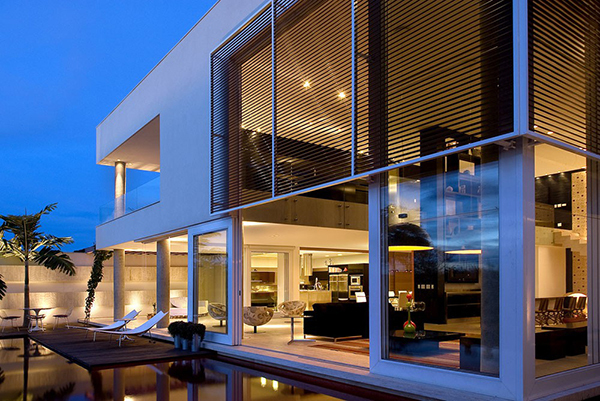 A sliding door separates the interior to the outdoor space. You can see a wooden deck with a lounge chair on it. This interior is beautifully designed with suspended pendant lights and a mix of different colors for the decorative elements. For the walls of the floating staircase, a wallpaper of modern geometric design is added. 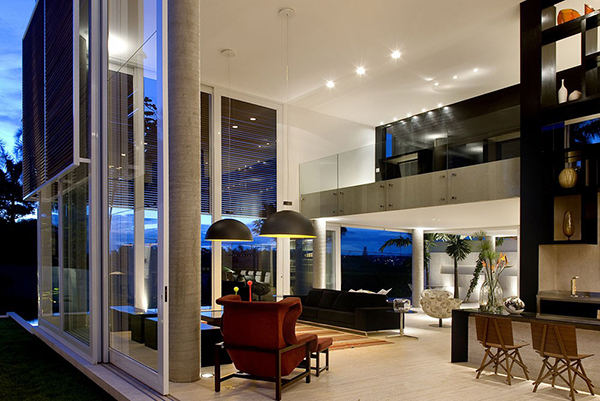 It has a double-height ceiling that allows more light to flood in the interior. 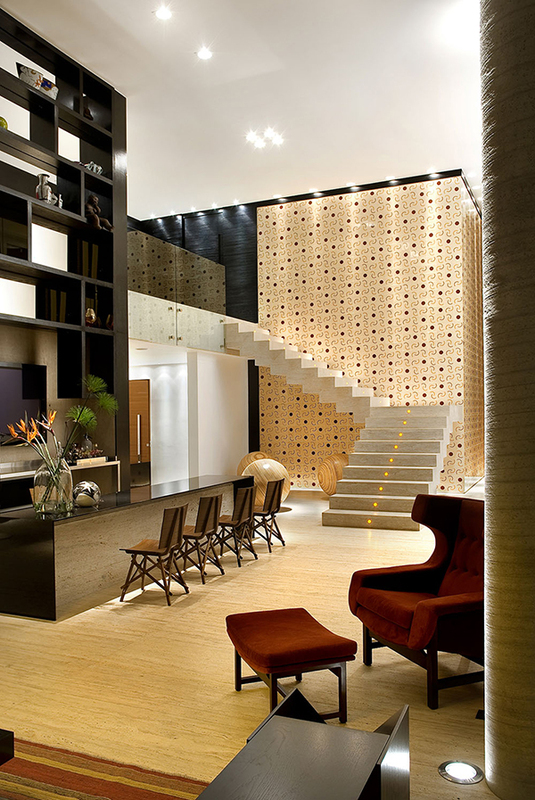 Various textures comprise the interior that adds interest to its design. The dining area is a beautiful modern contemporary space with pops of yellow. The oval shaped base of the dining table is very attractive. This is a bedroom with a working area. You can actually get entertained while working in here. And this is the bed for this bedroom which looks comfy and soft. This opening leads to the bathroom with a sleek bath tub and a clean modern design. 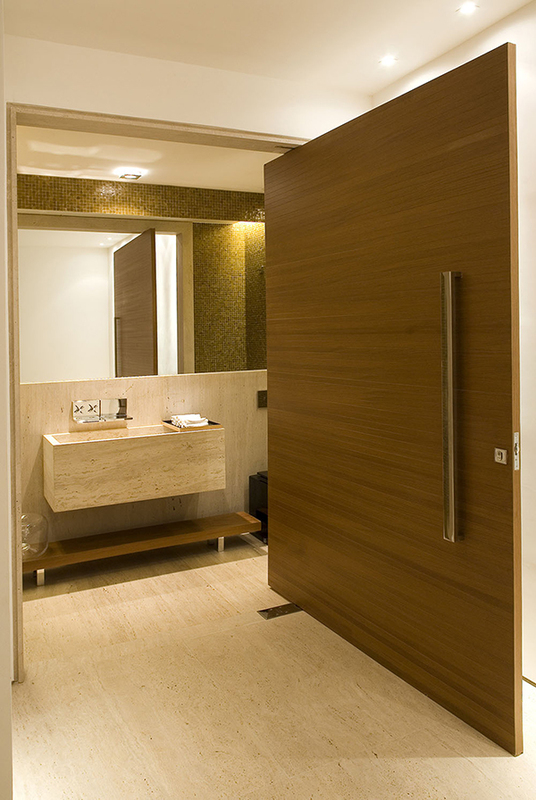 A wooden sliding door brings in a touch of nature to the bathroom. This is the facade of the house. It does look lovely but the other side is actually more stunning. 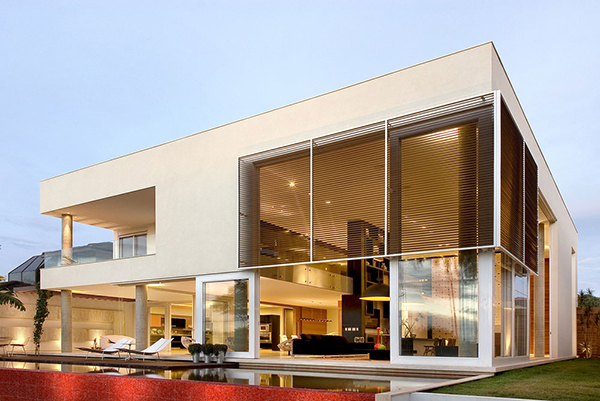 The house has a transparent look with glass all around it. 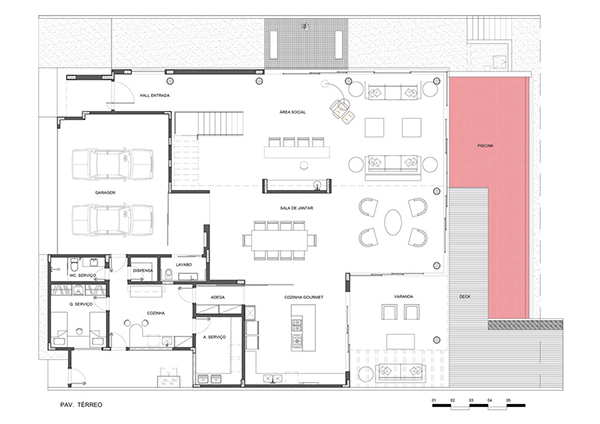 Floor plan of the first floor of the house showing the pool and other public areas. 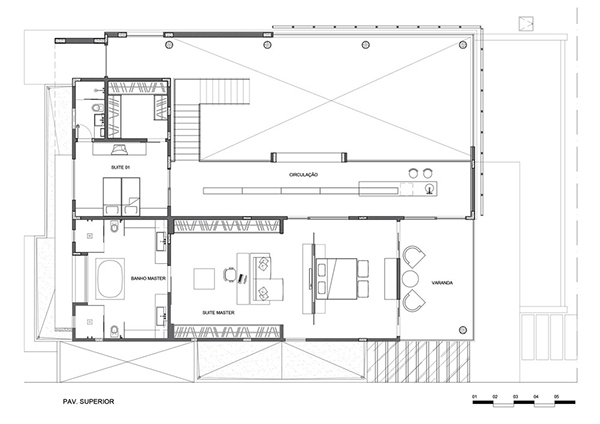 On the upper level are the bedrooms and a veranda. 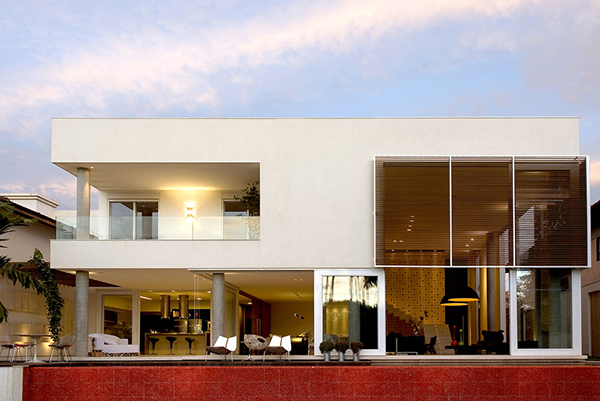 Ney Lima Architects – neylima.com.br designed this beautiful Brazilian home. I like its neat look with the sleek lines all around it as well as its interior with neutral palette flooding with natural light. Its outdoor area is one lovely feature too especially the pool. How about you, can you tell me what you love most about this house?